There are four, five hawks regularly visit my backyard forest. 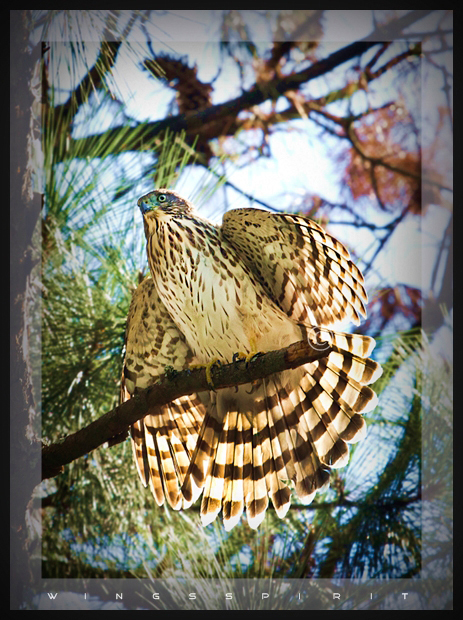 Hawk's activity got to the peak in the mid of July when I saw two adults Cooper's Hawks perched on near-by pine trees and trained their offspring how to hunt a flock of American Crows. Great photo,love the detail and how you caught it with it's wings open. Very nice photo Linda !